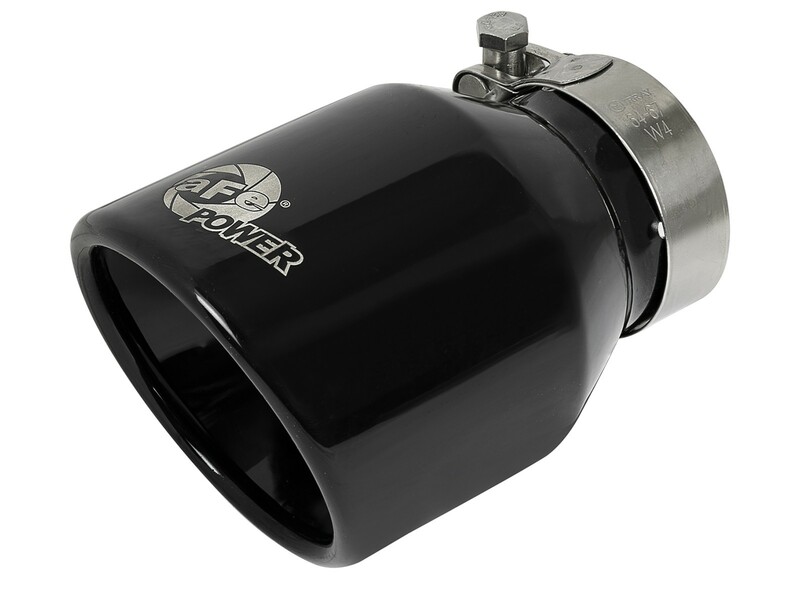 Upgrade your exhaust with this MACH Force-Xp 304 stainless steel, universal tip designed to fit most 2-1/2" exhaust systems. 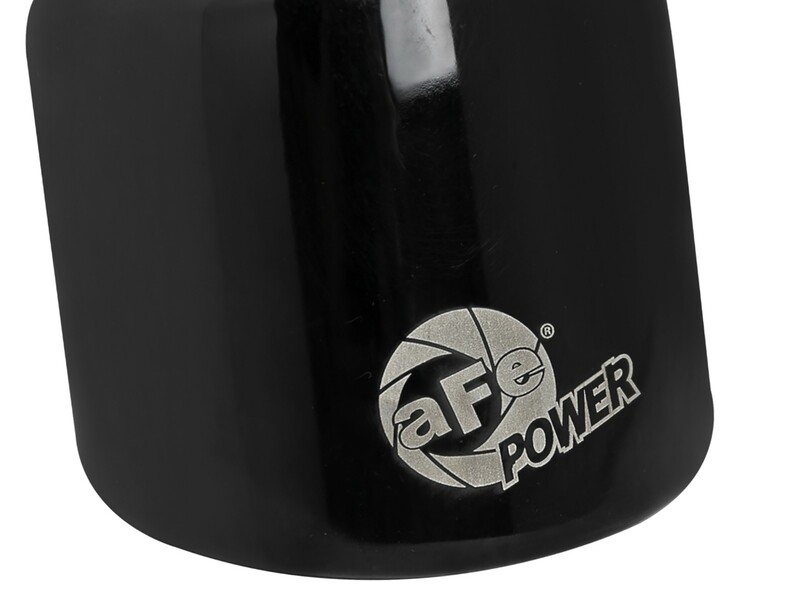 This 6" long, double-walled, rolled angle, high gloss black powder-coated tip features a laser-etched aFe POWER logo for a custom look. 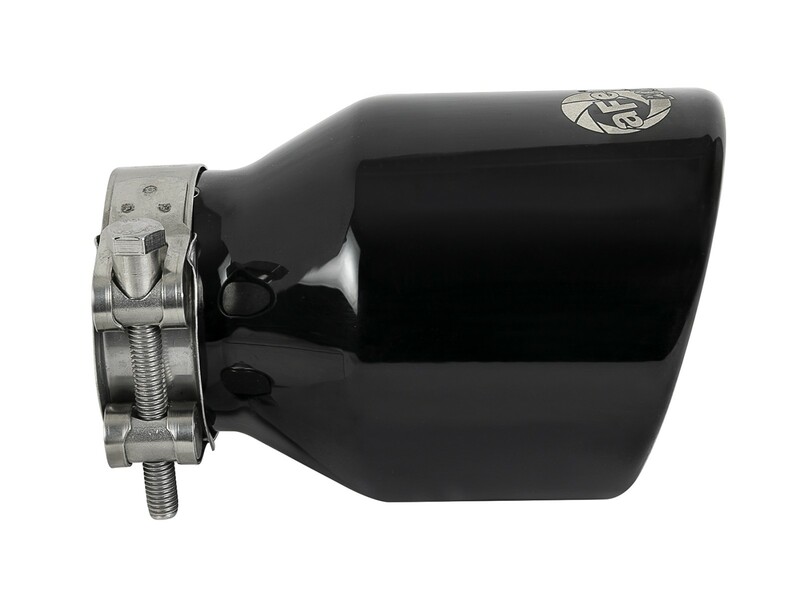 This tip is constructed using 304 stainless steel for maximum strength and durability. 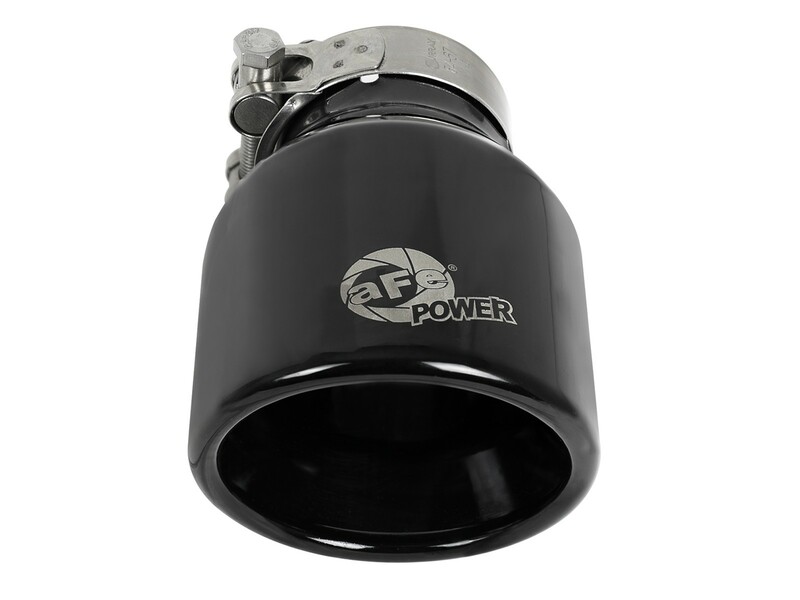 Powder coated in high gloss black finish for a quality, custom look. A high quality stainless steel barrel band clamp is used for a complete 360 degree sealing surface. 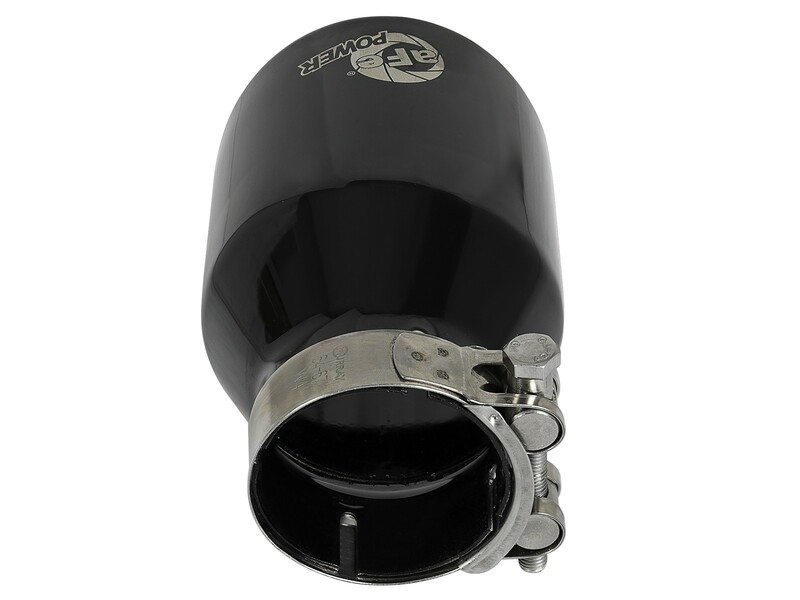 Universal tip - will fit to 2-1/2" exhaust tubing and is easy to install and adjustable. See below for specifications.